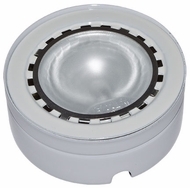 Under cabinet LED lighting fills a wide range of needs in the home. When homeowners buy under cabinet lights and under counter lights, they allow themselves to bring light to areas that are normally dark. With under cabinet lighting LED options, they also can lower their energy bills while still benefiting from inexpensive kitchen under cabinet lighting. Under cabinet lighting and under counter lighting can be 7" to 30" long. These energy efficient lighting fixtures are practical when the property owner needs an under cabinet light or kitchen cabinet lighting. Since LED under counter lighting operates at cooler temperatures, it will not turn your liquor sour or harm other heat-sensitive supplies such as medications. This is what makes affordable LED under cabinet lighting so valuable for the homeowner. And with under cabinet lighting LED options, these can be added to the home without a significant impact on energy costs. The best LED under cabinet lighting and LED cabinet lights can bring additional safety to the home. Kitchen under cabinet lights prevent you from grabbing the wrong cleanser and are often low voltage, fluorescent, or LED lights too. Utilizing fluorescent, Xenon or light emitting diodes (LEDs), these under cabinet lights are a marvelous choice to fit with contemporary design. 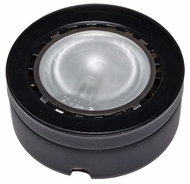 Though under counter lights are most commonly used in kitchens, these lights can also be used by hobbyists and collectors for china cabinet displays. An under cabinet light could also be used in the bathroom. In fact, LED cabinet lights can show up anywhere that a home has a cabinet. Under cabinet lighting, also sometimes referred to as undercabinet lighting, is a practical solution to reduce shadows. LED under cabinet lighting and under counter lights also provide a subtle and refined way to illuminate kitchen counters, breakfast nooks, bookshelves, and curio cabinets. An extension of the concept of recessed lighting, under cabinet lights and under counter lights are a creative answer to darkened pantry cabinets and cupboards. You can select plug in under counter lights if you don't mind cords showing. You also have the option of hardwiring your under counter lighting. Know that hardwiring your under cabinet LED lighting will require you to rewire behind the backsplash and install a switch and electric box. In addition low voltage models of under cabinet lights require transformers. In contrast line voltage kitchen cabinet lighting can use fluorescent lamping and do not need transformers. 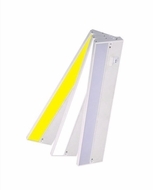 Those in the market for under counter lighting for sale will find a wide range of options here. 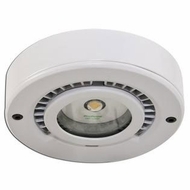 From discount LED cabinet lights to traditional kitchen under cabinet lighting, just about any type of under cabinet light a property owner or builder could want is available. With under cabinet lighting LED lighting can make a difference in how energy efficient a property is. These kitchen cabinet lighting and under counter light options meet a wide range of needs in the home. Shop now for kitchen under cabinet lighting and under cabinet LED lighting to add ambiance and safety to your home.